National Collective Agreement Regained! – EurUp! The Collective Agreement all metalworkers has been regained! 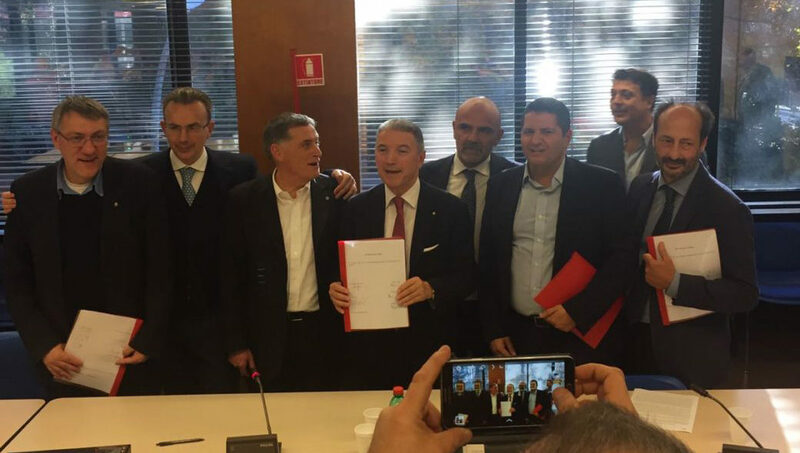 It has been reached today the agreement for the renewal of the national collective agreement between Federmeccanica / Assistal (employers association), Fim, Fiom and Uilm, that puts an end to a long period of separate agreements. Draft agreement will be submitted tomorrow to the judgment of Fiom’ Central Committee. After the meeting of all the three Federations convened for December 1, the agreement will be presented with assemblies in working-places and finally submitted to binding referendum among all workers concerned this referendum will pass through a path that for the first time is also signed by Federmeccanica. This is the first step that will lead, within the timeframe provided for the drafting of the text of the contract, to a definition of the democratic rules and of the other parties provided by the “Testo Unico sulla Rappresentaza” (agreement signed 2014 between the three Italians Confederations and the employers association Confindustria) into our sectoral collective agreement. Furthermore, in the new regulation for the RSU is granted the right to workers to vote on company agreements, also on the request of only one trade union or of the 30% of workers, that has always been central in the practice of the Fiom but never achieved on a common base until now. a one-time fee of 80 Euros paid in March 2017. Fiom’ delegation gives a positive judgment on the understanding reached, which does not present any kind of improper trading and that broadens rights, go beyond inflation in its overall cost structure, introduce a democratic path in the national agreement that has always been a central demand for our Organization.